This website is all about mentoring and helping you to become an author of fiction. Even more: it's a guide on your way to becoming a published author. My intention is that this will become one of the best creative writing websites in the whole internet, full of the highest quality free fiction writing advice, and free creative writing tips. As the best-selling author of three novels (so far), I want to share with you all I know about how to become an author. 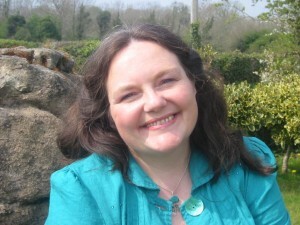 My name's Tracy Culleton, and I’m passionate about writing fiction and creative writing. When I started off writing novels, I had to find my own way. I made lots of mistakes and went down many cul-de-sacs, and had to find my own resources - all of which took time which would have been better spent writing. This site is a one-stop shop for everything to do with writing fiction (just check out the options below!). I’m sure you’ll find plenty of value here. Take your time here, wander round, enjoy and learn. There are conventions and archetypes to plots, but you need to be original too. Find out how to reconcile this dilemma here. Creating interesting, dynamic and compelling characters is an essential part of fiction writing. We explore that topic here. Point Of View, or POV, is a topic many writers struggle with. But it's essential to get it right. Half the fun of reading is getting to eavesdrop on others' conversations. So how do you, as the writer, write good dialogue? There are many mistakes that writers typically make. Here is the information about them, and how to avoid them. Completing your first draft is a huge achievement and to be celebrated. Then you need to edit that first draft. Now that you've finished writing and editing your book, you need to learn about the publishing process. If you're serious about your writing you'll want to make it your career, either full-time or part-time. Here is information about that. So, where do you start? How do you go about the nuts and bolts of writing a novel? Here are some ideas for you. Here are some ideas for getting the creative juices flowing, and how to call upon the Muse whenever you like. It's a curse that plagues us all - the dreaded writer's block. Here's how to combat it. Here are tricks of the trade to help you in your writing. There is so much wisdom about writing available for us - here are my favourites. Here's a glossary of some of the jargon or terms used in creative writing. What do you get for a loved one who's a writer? Even if that loved one is you! Information about my five novels. Here are three of my short stories you might like to read. Quotes to inspire you, motivate you and encourage you.